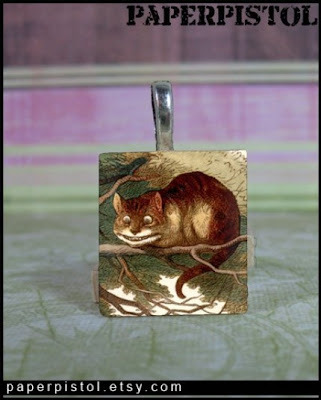 Our giveaway today is in honor of Grimilkin in J Kagawa’s “The Iron King.” Thanks to PaperPistol at Etsy. Hello! I’m Carissa and I run Paperpistol in my little homeshop. I love my Min Pin, History, and Cupcakes.Oh, and my family too! Add your entries up and leave the total in your comment Contest ends March 15th and is open to International Entries. Good Luck! 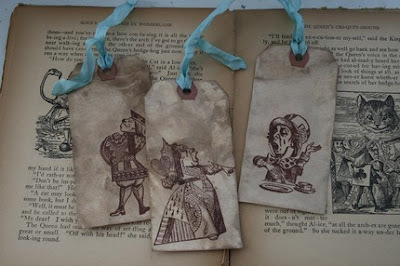 Our giveaway today is from Etsy seller Mootsie! Hi, my name is Audrey, I attended art school way back in the 80’s…. I studied graphic design & textile design, I worked in the field for 18 years. I grew up in Illinois where my quest for an artful life started at age 10. I enjoy the simple things in life such as playing with my kids, gardening, & making stuff. I love my job as a substitute teacher and look forward to going back to school for teaching. I’m a beach kinda girl, not snow, I wear my flip-flops till Oct. Thanks for stopping in & visiting my shop. 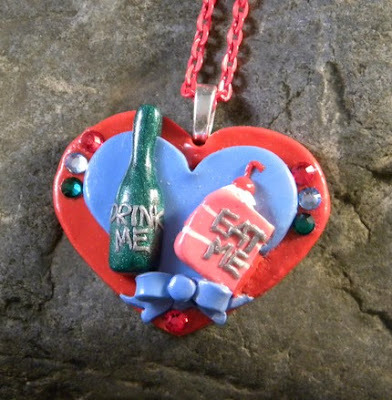 She is gifting our winner this beautiful necklace…Alice Drink Me Pendant is made from vintage clip-art, A vintage antiqued brass finding 18 x 25 cab. Hangs from a 16″ Antiqued Brass Chain. 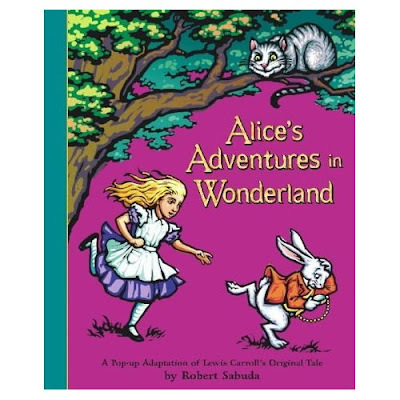 Lewis Carrolls Alice in Wonderland was originally released in 1865 and illustrated by Sir John Tenniel. This illustration by Tenniel of Alice finding the bottle. Add your entries up and leave the total in your comment Contest ends March 8th and is open to International Entries. Good Luck! Our giveaway today is from KelseaEchoBazaar on Etsy. 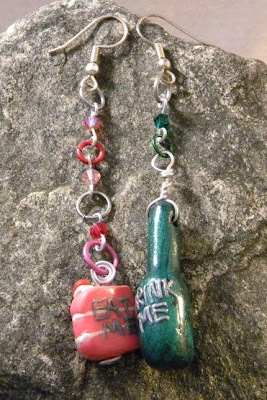 She is giving away a set of Alice in Wonderland “Eat Me, Drink Me” earrings and handmade necklace. My name is Kelsea and I am a designer-in-progress based in Seattle. I am currently very busy with an unrelated 40-65 hr/week full-time job but I continue to run my etsy shop with zest, as it is my portal to the world of being an indie designer. I love creating artwork. I’ve dabbled in all sorts of different arts/craft forms over the years, often to make gifts for those I love. Now, I like to mix them all up and create things on whim. I collect cool materials whenever I find them so they are usually very limited supply. I also like to reuse and create newer, cooler things out of older things, which makes for a lot of unique pieces. Diverse materials, diverse subjects. That’s how I roll. By the way, I live in a 100% smoke-free home. Enjoy and thanks for taking a look around! Contest ends March 13th and is open to International Entries. Good Luck! My father gave this to my children for Christmas because our family adores pop up books. My kids would spend hours looking through all of the surprises in here. There are even little books placed within the book to pull out and read. You will feel like you are right in the forest as green trees burst from the first scene. The cover is sturdy, but the pages are very fragile and not for young children! 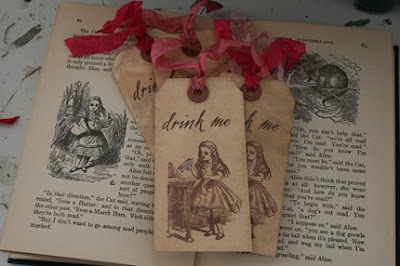 A great gift for fans of the classic Lewis Carroll tale! 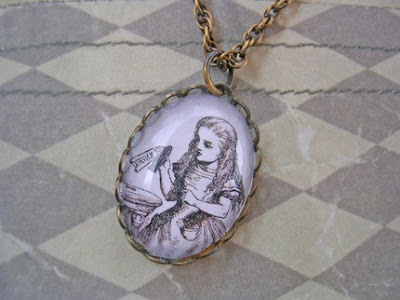 After reading “Far From You” by Lisa Schroeder you will want ot re-read Alice in Wonderland.